For many homeowners, the backyard is an oasis. This is where they go to unwind after a hard day at work. It’s where families gather on the weekends. It is the sight of many great outdoor barbeques. This why a lot of attention is devoted to things like decks, patios, screened porches and well manicured backyards. If you want to turn your backyard into an oasis for this summer, then perhaps you need to call in Junk King. These are the junk removal pros that will be able to clear the path for all your comfort. The two-man Junk King crew who will be assigned to your cleanup project won’t be doing any lawn mowing or flower planting. However, if you dig up an area for a garden and are left with a huge pile of dirt, you can count on Junk King to haul that away. The same can be said if you are tearing up a concrete patio or pulling out a wooden deck. You can count on the Junk King to remove all that construction waste in order for your contractors to have a clear working area to put in your new areas. Of course, there are a lot of things that Junk King can simply take away for the sake of getting rid of it. Thinks like planters, birdbaths, swing sets, tool sheds, lawn mowers and patio furniture can all be loaded onto the Junk King truck. All you’ll be doing is pointing to what you want removed and Junk King will do the rest. 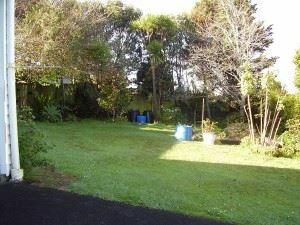 While they’re at it, Junk King can also do lot around the inside of your home. You can turn the crew loose in your garage, basement or attic to pull out all the old furniture, e-waste, boxes of clothes and other household goods you no longer have any use for. Remember that everything that is loaded by the Junk King crew will eventually be sorted to see what items can be repurposed. Don’t think that you junk is going straight to the dump! Instead, Junk King might find opportunities to recycle or donate an item. That is going to be good news for the environment. All of this work can happen very quickly and very affordably. Call Junk King today to start your backyard transformation. This entry was posted in Albany Junk Removal and tagged backyard, Junk King, junk removal on May 30, 2015 by Todd Porter. Last updated August 1, 2017 . May isn’t just a month for moms, grads and Memorial Day. It is also National Home Improvement Month. This is the time of year when contractors, landscapers, designers and architects step up their efforts to entice you into a home makeover. They are looking to get you to sign on for a remodeling job. Clearly, redoing your kitchen or adding a bathroom would qualify as a home improvement. However, you could make some amazing improvements just by finally clearing out all the clutter. For that kind of job, you can count on Junk King. Junk King is a professional junk hauling service with branches all over the country. They’ve been in business since 2005. Here in Albany, the local Junk King franchise has been up and running for a couple of years. In that time, they’ve managed to literally collect tons of junk from homes, businesses, schools and apartment complexes. What do you do with tons of junk? If you’re Junk King, you’ll be recycling or donating the bulk of that collected material. This has been part of Junk King’s operating philosophy from the start. They want to help every city become zero-waste. How will Junk King’s recycling program determine what you throw out? Actually, it won’t. All you need to do is decide what items you want gone. That can be anything from heavy pieces of furniture to e-waste. The Junk King crews have been trained to sort through all the items they collect to pull out those pieces that can be recycled. You don’t even have to ask; the recycling will happen automatically. As for the actual work, leave that to the two-man moving crew who will be assigned to your junk removal session. This is the crew who will do all the lifting and loading even if that includes climbing stairs. Junk King doesn’t want you lifting a finger. You’ll also find that working with Junk King for your home improvement cleanup is going to be affordable. Junk King charges every customer a flat rate based on how much space their junk takes up on the back of the truck. It could be as little as one-third or the entire truck bed. Either way, you’ll know that fee before the work starts and it won’t change. Home improvement begins with a thorough cleanup. Junk King can help get you there. 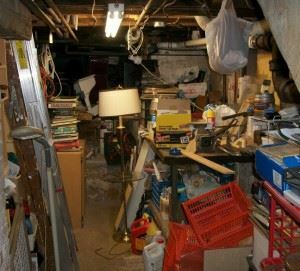 This entry was posted in Home Improvement and tagged Home Improvement, Junk King, junk removal on May 20, 2015 by Todd Porter. Last updated August 1, 2017 .